issued a press release blatantly informing the public they would be spending more than a million dollars to pay Clinton trolls and shills to “engage in online messaging both for Secretary Clinton and to push back against attackers on social media platforms like Twitter, Facebook, Reddit, and Instagram.” If their own press release isn’t enough to convince people that they not only exist, but are actually being paid to infiltrate social media, comment sections and forums across the Internet, perhaps the documented payments to individuals from Correct the Record, list at the Federal Election Commission website, will. The Dailycaller noted in late October 2016 that Reddit users (also known as redditors) had had enough with pro-Hillary Clinton political action committee (PAC) Correct The Record over its efforts to promote a pro-Hillary narrative on the site. The Redditors were especially concerned that Correct The Record’s paid internet commenters were suppressing revelations from WikiLeaks’ release of Clinton campaign chair John Podesta’s emails, which produced a flood of damaging revelations about the Clinton campaign. One former person who worked for the Clinton hit squad shared what a horrible job it was working for the Hillary campaign as a hitman. The real problem for me started around the end of September and the beginning of October, when there was a change of direction from the team leader again. Apparently, the higher-ups in the firm caught wind of an impending spending splurge by the Clinton campaign that month and wanted to put up an impressive display. We received very specific instructions about how and what to post, and I was aghast at what I saw. It was a complete change in tone and approach, and it was extremely nasty in character. We changed from advocates to hatchet men, and it left a very bad taste in my mouth. Another story shared how Hillary was taking a page from Vladimir Putin with her online hit squads. 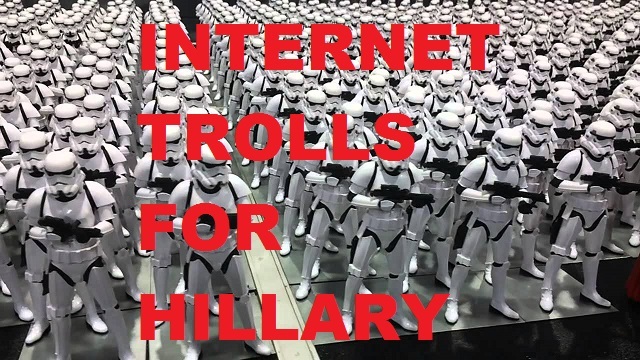 As of November 9th, the Internet trolls for Clinton have stopped – crickets. Correct the Record sent out their last tweet on the 8th (noted above) and thankfully are no longer. Reddit is relieved with the sudden silence from the left plus there are no concerns about what the workers at CTR are doing now.